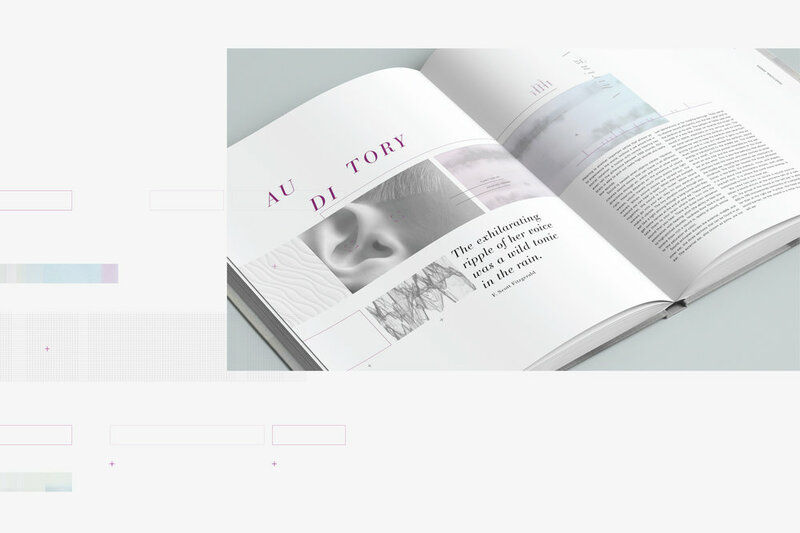 Creating a collectors addition experimental coffee table book on a subject in the area of natural science, designing with an emphasis on typography, concept, layout and image generation. Human beings possess powerful sensory capacities that allow us to experience and interact with the world. 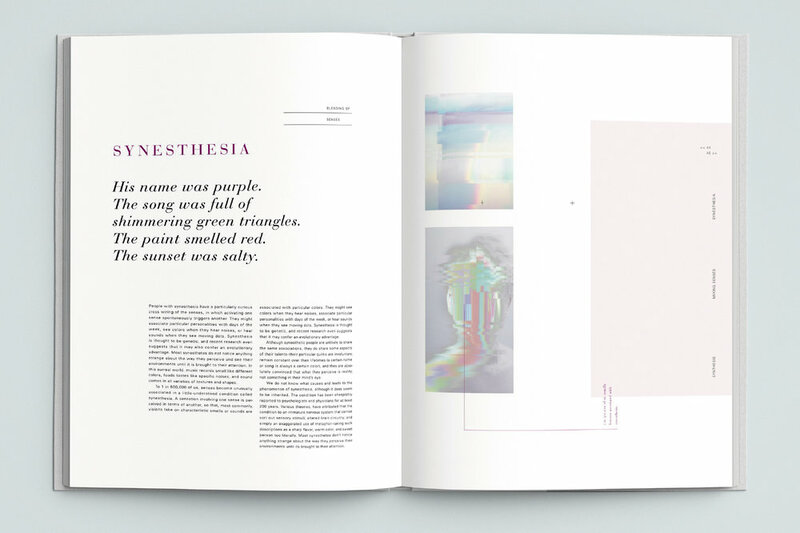 Synthesis is a limited editorial book that combines observations and perception of senses. Exploring all the facts, myths, theories and a life with or without senses. Our senses play an important role in our lives. We use at least one of your five senses every moment of every day, even when we are asleep. Then again, there actually is so much more than what we know. As a matter of fact, it is still an ongoing scientific research topic. Hence why I decided to learn and go in depth on the observation, sensation, and perception of the human senses. 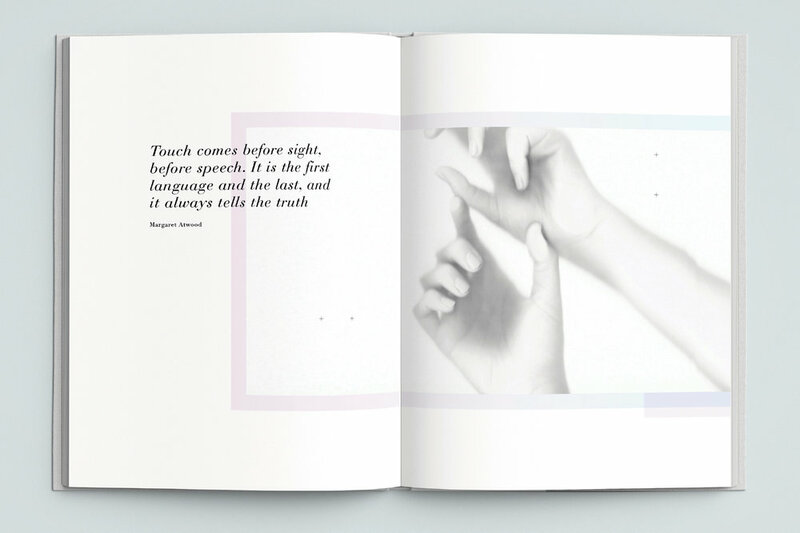 The chosen typeface, color palette and feel of photography were meant to convey minimalism as well as the sensitivity of the human senses.